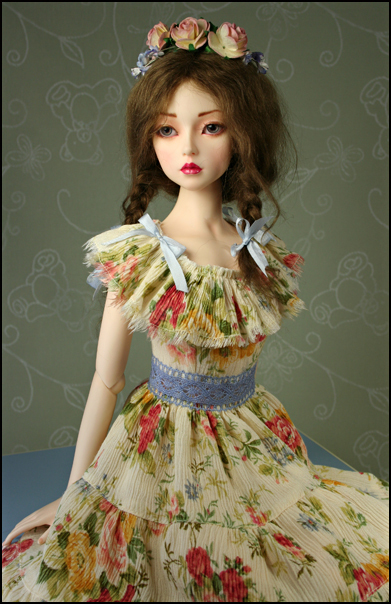 This dress is made from crinkle cotton with a netting underskirt. 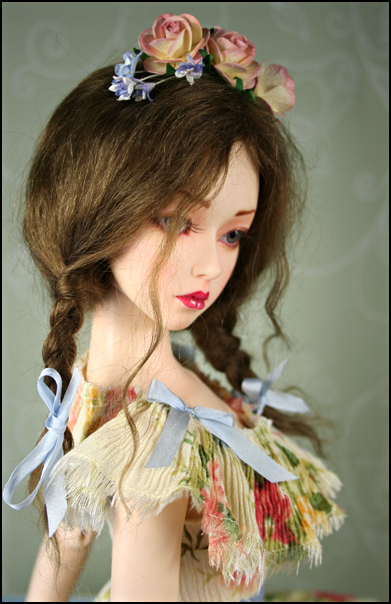 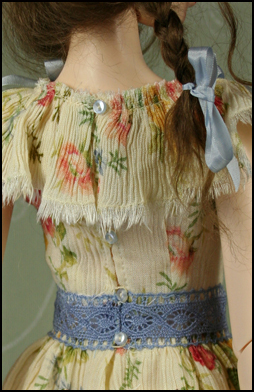 The waist has cotton lace around it and there are small silk bows at the shoulders. 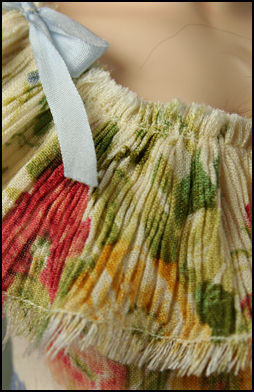 The skirt is a tiered shirt and there is a gathered frill around the neckline. 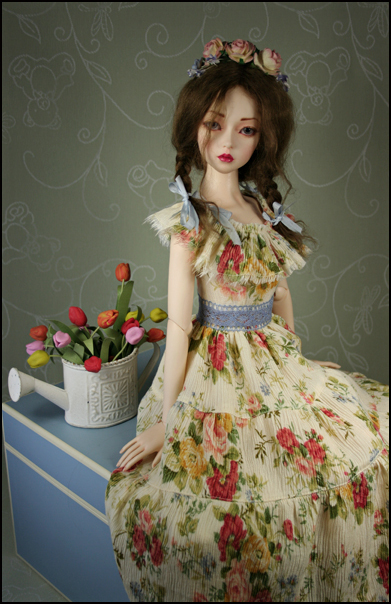 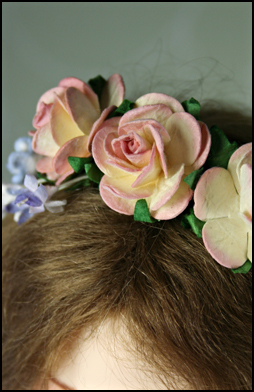 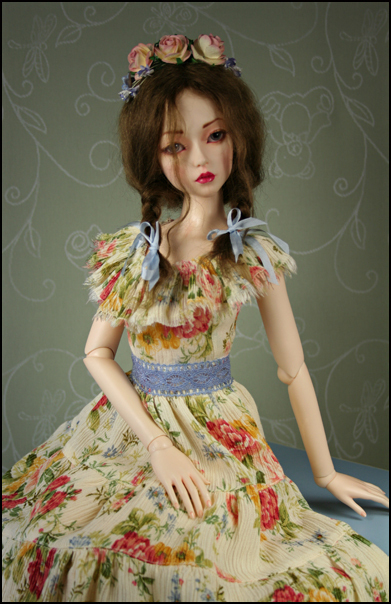 the ead dress is paper rose .Includes: dress ,hair piece and separate underskirt.